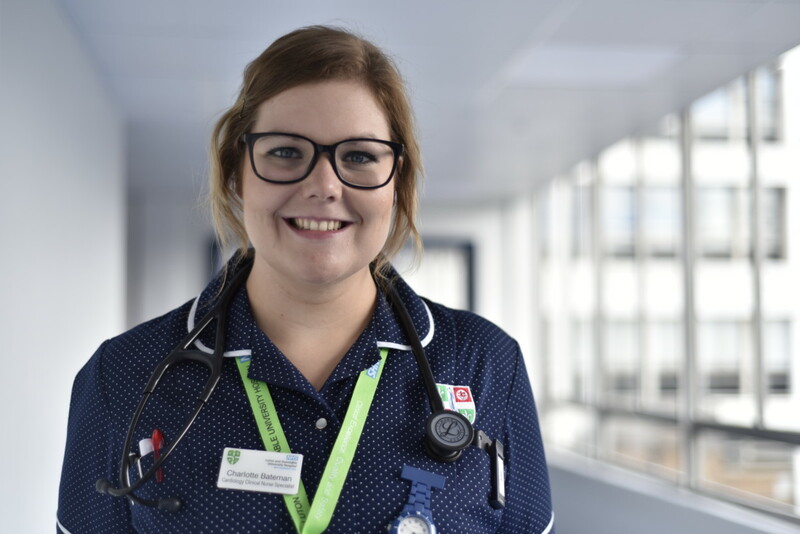 The L&D’s Cardiology Department has a new Clinical Nurse Specialist; Charlotte Bateman told us about her journey to this busy patient-facing job. I have been with the L&D since my training days, I studied at the University of Bedfordshire and I did my placement here in a number of wards. When I was assigned to Cardiology, I realised that was what I wanted to do, and specialised in it. Since then, I have been a Sister in the Coronary Care Unit, and then a Staff Nurse, always covering Cardiology. The role of Clinical Nurse Specialist is a newly created one in the department, and I am so happy to have been appointed. It’s a busy one, I am looking after patients in my department, but also the short stays wards, the Emergency Assessment Unit and A&E. In short, whenever someone needs help with a patient with a suspected heart-related issue, they call me. My pager bleeps all the time and it’s about to get busier. I will soon start working on a new short stay Cardiology clinic alongside a Consultant, for patients that need to be seen with urgency but that do not require to be admitted to the hospital. This is part of our Needs Based Care approach, which we adopt to make sure patients are seen more timely and by the right teams during their stay at the hospital.